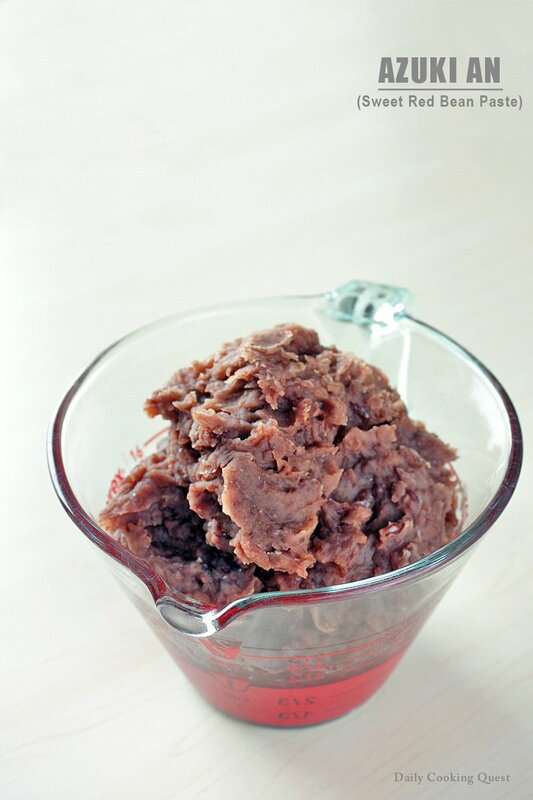 Azuki-an, or sweet red bean paste, is a very common filling used in Japanese and Chinese desserts. 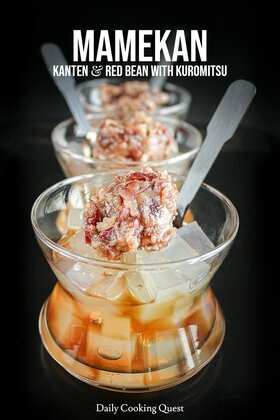 Anpan (red bean bread), dorayaki (red bean pancakes), manju, taiyaki (fish shape waffles), and daifuku are some of the more popular Japanese desserts where azuki-an is used as filling, while the Chinese use this in their mooncakes, tang yuan (glutinous rice flour balls), bao (steamed bun), and red bean ice. 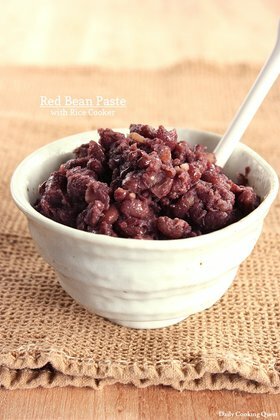 For those who does not want to make their own red bean paste, you can buy this in Asian stores, usually sold under the name of ogura. 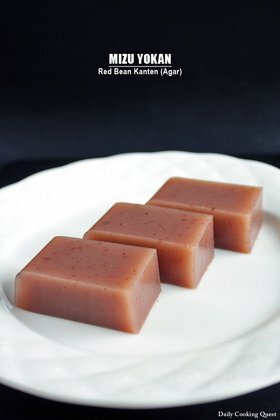 The store bought version is a smooth paste, not the rustic chunky looking result you get when you cook it yourself (which I like a lot), and can be a bit too sweet for some, but it is very convenient. In a pot, soak well rinsed red beans in ample of fresh cold water for at least 8 hours or overnight. Heat until boiling, add 4 cups of water. When it boils the second time, drain in a sieve. In fresh cold water, boil beans again until tender and slightly fall apart. Add water so that liquid always covers the beans by about 1 inch while cooking. Drain again in a sieve. Transfer beans back to a pot, add sugar, and mix well. Cook over low heat and stir gently. Add honey, and mix well. Add a pinch of salt, stir lightly, and remove from heat. Mash with the side of a spatula or a potato masher. Hi Anita, I just came across your website. 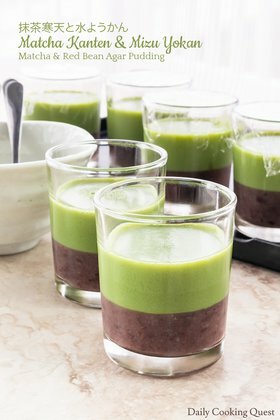 Thank you for sharing your recipes online. I noted you required 3 hours to cook the red beans. This cooking time can be shortened. Soak, drain, rinse and add fresh water as according to your instructions. Then do a first boil for about 5 minutes. * Turn off the heat, keep the lid on, and set aside for an hour or two. Then bring to boil again, and simmer 45-60" minutes on low heat. The beans should be nice and soft. I use a stainless steel pot here. Some people would add a porcelain spoon into the pot to hasten breaking down the beans . *this quick method is printed on some bags of beans sold here. Beans is a staple for some people here; so they know the more economical way of cooking them.